For me this is the one that started it all as I was a newb to the Endless Runner scene before Temple Run came along. Temple Run is an Indiana Jones style Endless Runner that has you flying through a temple after you’ve stolen a cursed idol. Needless to say you don’t want to steal anything from an ancient temple or you run the chance of being chased by evil demon monkeys… not good. 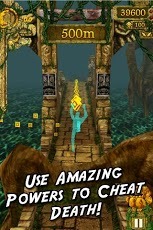 Temple Run however is a fine example of Endless Running done right, and it’s free to download on Google Play. This may not technically be considered an “Endless Runner” but it’s here anyway because it’s awesome. Whale Trail wins the trippiest game on our list contest hands down. Whale Trail follows Willow the Whale as he soars through the sky in rainbow land collecting bubbles and doing loops. You’ll have to beware of the vile Thunder Bros though if you want to try and get through the games tricky, trippy levels. 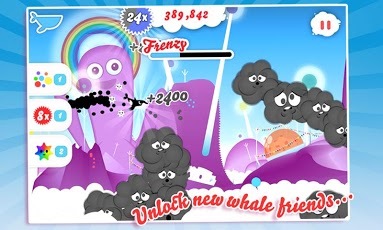 There’s a free version of this one called Whale Trail Frenzy and a paid version simply Dubbed Whale Trail Classic. Both versions of USTWO’s Whale Trail are available to download on Google Play. Ovenbreak is Com2uS’s entry into the Endless Runner genre, and boy was it a doozy. 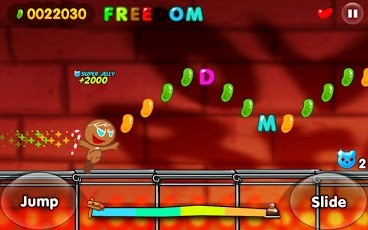 Ovenbreak puts your reflexes to the test as you take control of a nimble Gingerbread man who’s on the run from the oven. You’ll have to jump, slide, and use your candy cane if you don’t want to be baked and you’re going to have a blast doing it. 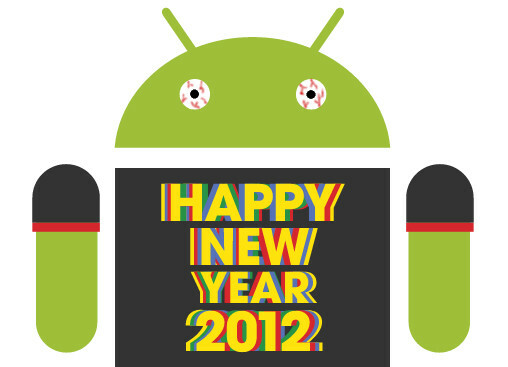 This one free to download, and it’s great for kids and adults! Full Fat is usually all about the sports, but when they dropped Agent Dash earlier this year they made quite a few jaws drop. It’s like someone took Pixar’s The Incredibles and mixed in a little James Bond for good measure before bringing forth one of the best Endless Runners of the year. It’s a tough game, but it’s a lot of fun and you can pick it up for free. If you just couldn’t get enough of Temple Run, Disney decided to quench your appetite with Temple Run Brave. This Endless Runner was a movie tie-in to Disney/Pixar’s popular movie Brave and you’ll get to run, jump, slide, and shoot as Merida and King Fergus. 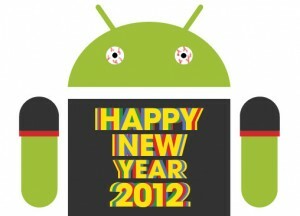 It’s a great looking game and while there’s no free version it’s well worth its $0.99 price tag.